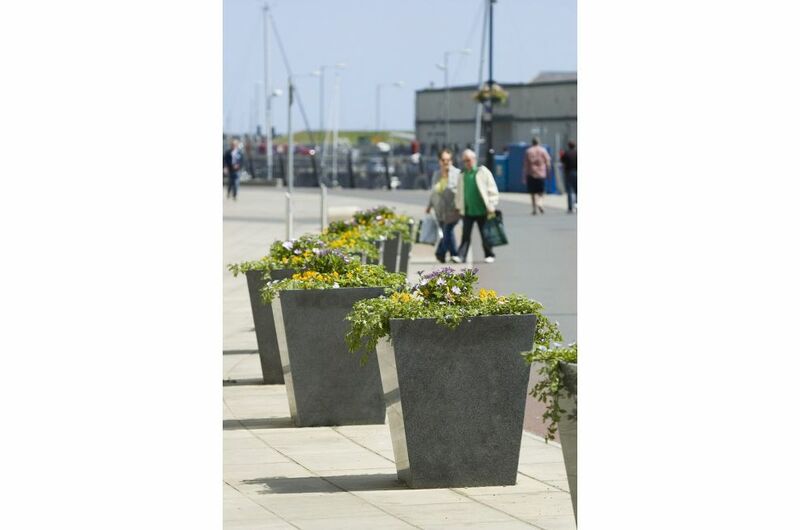 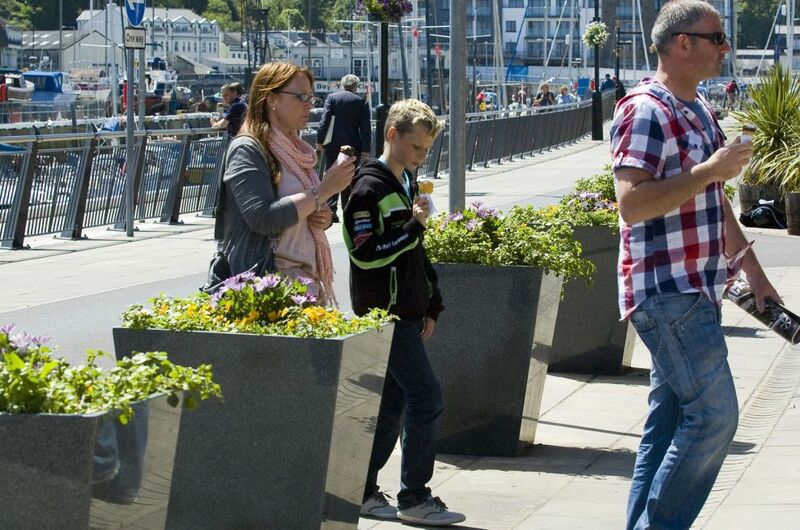 IOTA’s Taper 800 planters have been used in a scheme to improve the streetscape in the Dockside area of Douglas, Isle of Man. 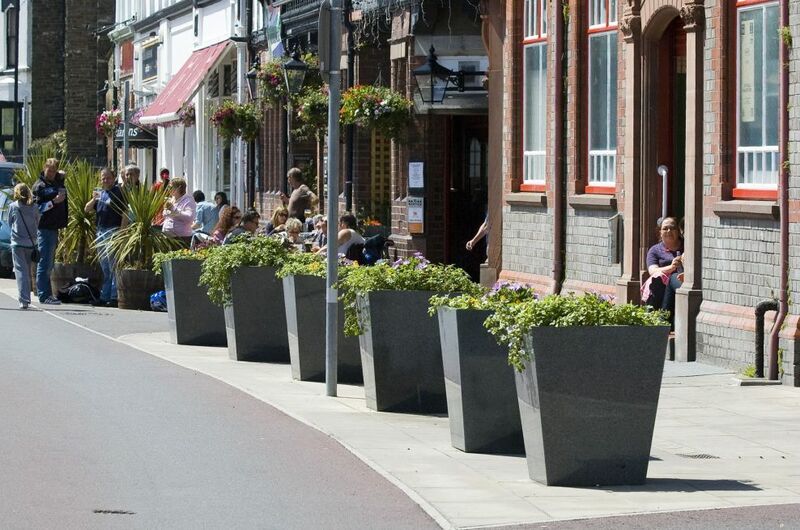 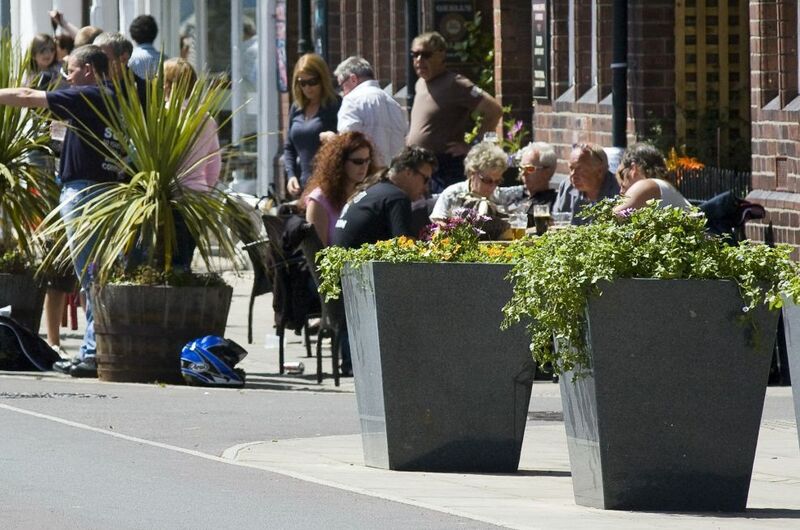 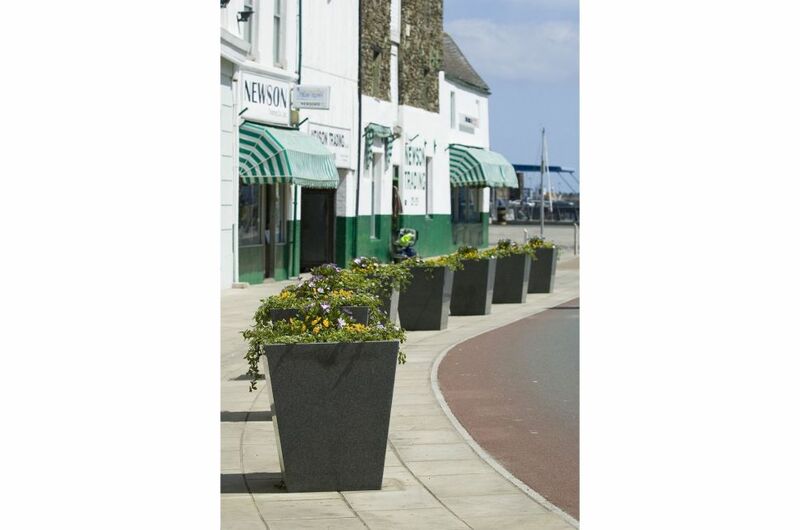 IOTA’s granite planters are increasingly specified within streetscape schemes, where they offer a stylish, and often cheaper, alternative to more utilitarian concrete, composite or metal planters. 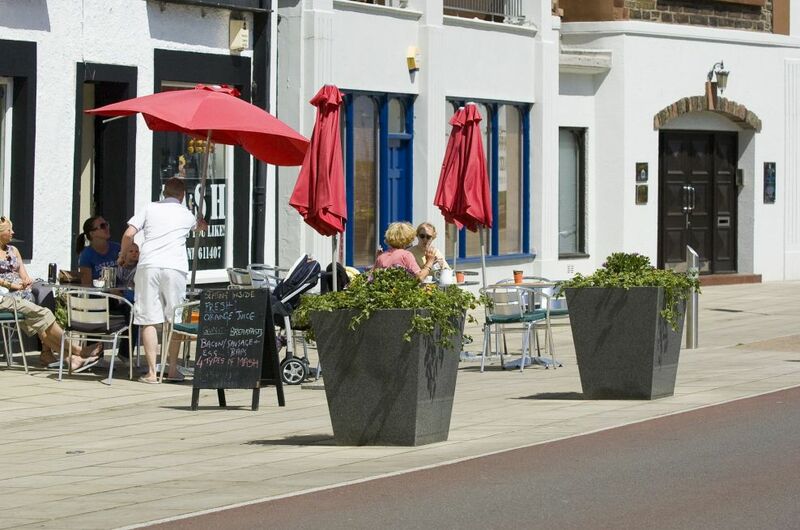 At the Dockside in Douglas, a particular issue arose as there was no protective kerb between the pavement and the renovated road surface. 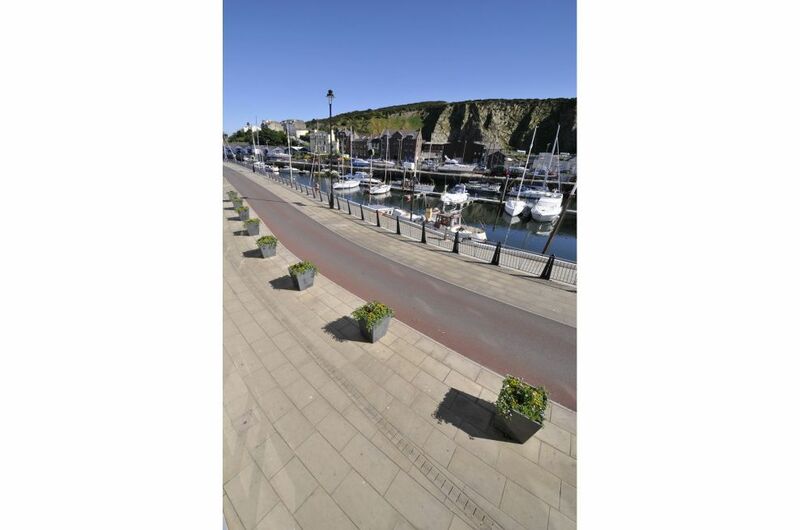 The Isle of Man Department of Works installed 25nr. 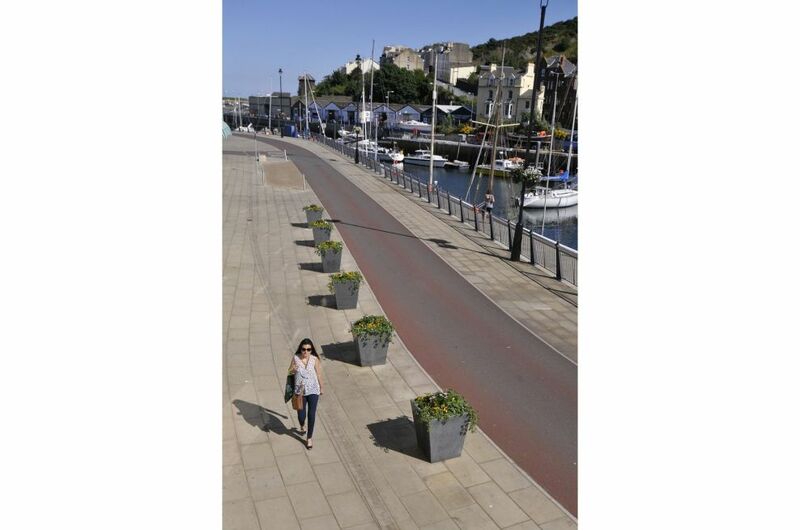 of IOTA’s Taper 800 planters along the length of the Dockside, to act as a vehicular barrier and to guide the flow of pedestrians. 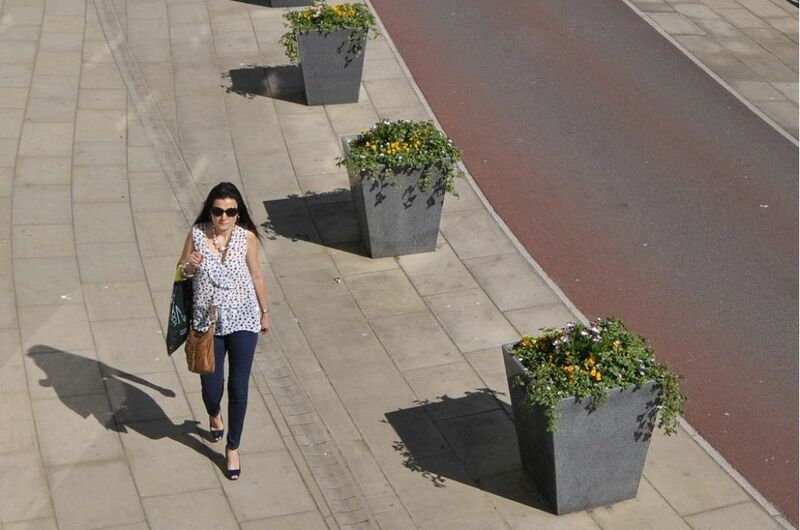 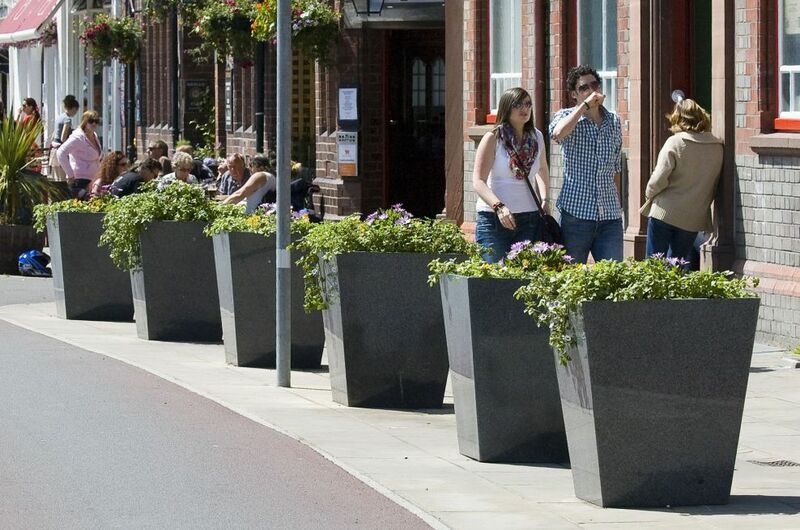 The Taper 800 planter has featured in a number of civic schemes, including Birmingham City Centre where 60nr. 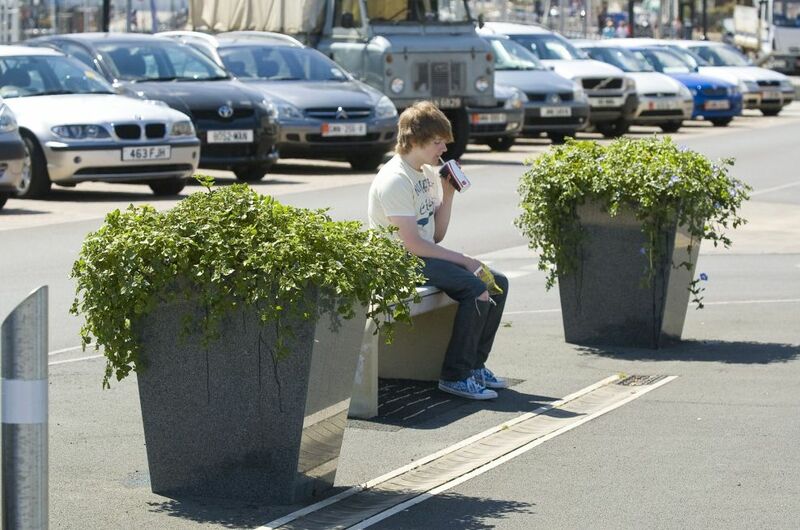 of the planters were used. 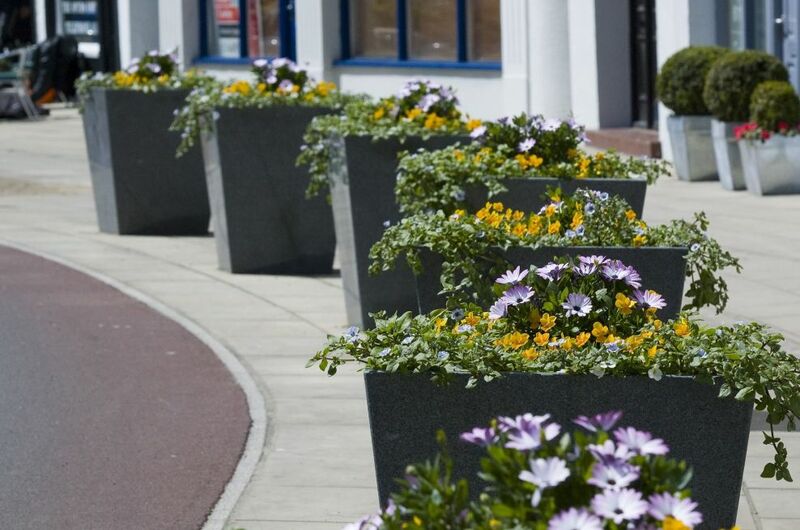 With a volume of 162 litres and weighing 157kg in 25mm thick stone, the Taper 800 possesses the strength, stability and planting volume to accept even the most challenging applications. 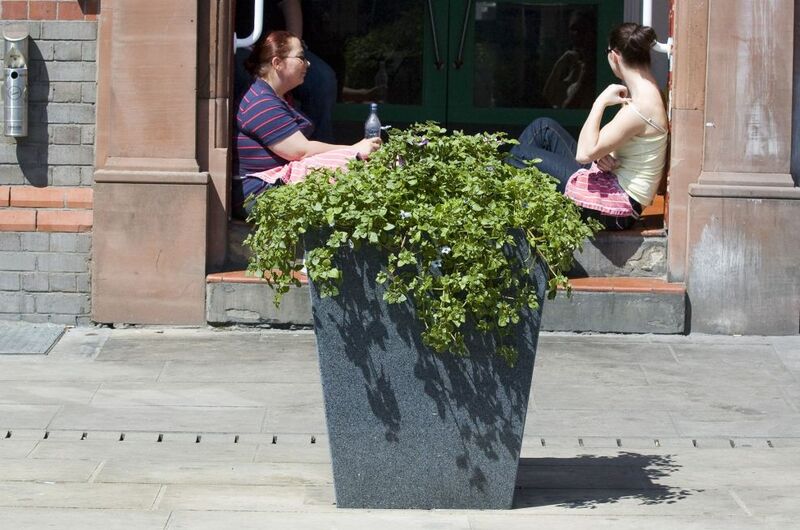 In addition, the granite stone used by IOTA is extremely strong, and the surface is highly resistant to physical attack; graffiti is easily removed; and the granite’s close granular structure means that minor damage is not readily apparent – all factors enhancing the material’s suitability for use in urban, municipal and civic environments.